What are the Duties and Liabilities of Executors and Administrators when Administering an Estate? When a loved one has passed away leaving behind property, such property must be administered and distributed in accordance with the law. Someone has to be appointed by the Court as an executor or administrator before he or she can administer the estate. While an executor and administrator have similar roles and duties, the sources of the powers of an executor and an administrator are different. An executor derives his title from the deceased’s will, whereas an administrator derives his title from the grant of the letters of administration. If the deceased made a will, the will usually provides for the appointment of certain persons as executors and trustees to administer the estate according to the deceased’s wishes. If the deceased did not make a will, an administrator or administrators will have to be appointed by the Court to administer the estate. The administrator will usually be the spouse or one of the next-of-kin of the deceased, i.e. a beneficiary under the rules of distribution as governed by the Intestate Succession Act (for non-Muslims) or by Muslim law (for Muslims). Do note that the process of getting the Grant of Probate or the Grant of Letters of Administration is slightly different for Muslim estates. 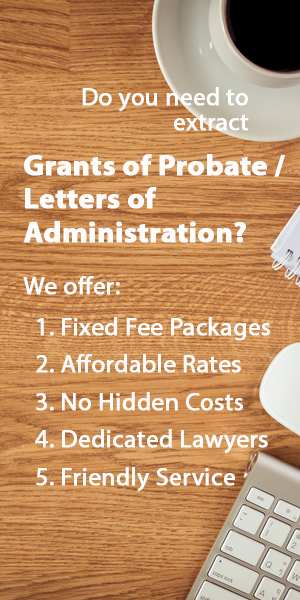 Depending on whether you apply for a Grant of Probate or Letters of Administration, you will be recognized as either the executor or administrator of the deceased’s estate. 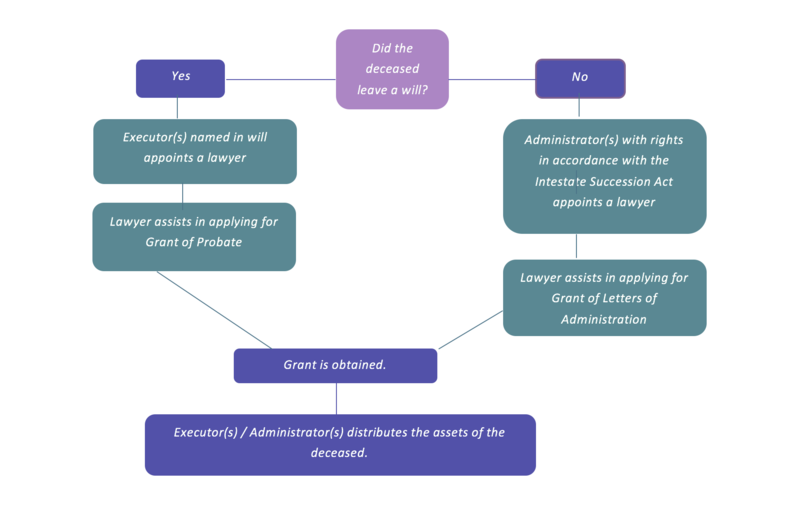 Am I an Administrator or Executor and What Grant should I be Getting? This flowchart should provide you with some insight. What are the Duties of Executors and Administrators? The first duty of the Executor or Administrator is to obtain the Grant of Probate or Grant of Letters of Administration from the Singapore Court. 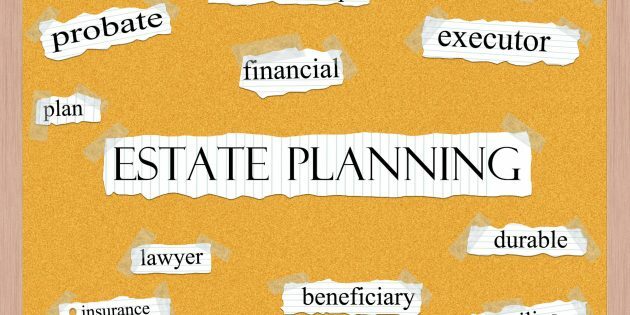 More often than not, estate planning lawyers are hired to assist in the extraction of the grant, due to the complex and time-consuming steps involved in obtaining the necessary grants. The Executor or Administrator will liaise with the lawyers to provide all the necessary information and to obtain all the details about the deceased's estate. Once the grants are extracted, the Executor or Administrator will assist in paying off the debts of the estate, collect and distribute the assets in accordance with the Intestate Succession Act, and account to the relevant beneficiaries about the distribution of the assets. What are the Liabilities of Executors and Administrators? Executors and Administrators are fiduciaries who owe extensive duties to the beneficiaries of the deceased's estate. These duties come with many responsibilities. To ensure estate property is properly administered, executors and administrators are liable for every transaction and action that they make. failure to pay all the taxes owing by the deceased and/or the deceased’s estate. Therefore, executors and administrators have to always seek professional help when administrating estates.